Engadget is reporting on a new Bus Shelter advertisement for Vitamin Water that allows you to charge your cell phone via a USB jack coming directly out of the ad. Smart advertising I must say. 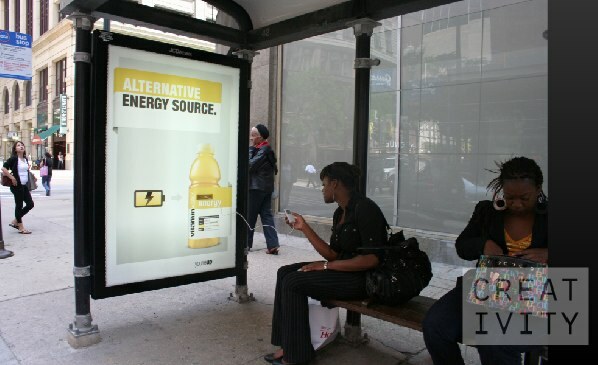 I have always been curious who foots the electrical bill for backlit advertisements that are a part of city infrastructure like phone booths and bus shelters. One would hope the companies reaping huge profits but it wouldn't surprise me if somehow the city ends up charged with the illumination fees.